Michael's PhD dissertation focused on Social Media Integrated Marketing Communications and he holds a Bachelor of Commerce degree (Marketing) from the University of Wollongong. Using his own modified version of Social Semiotic Multimodality, Michael explored how meanings expressed via social media posts and their interconnected conversation were co-constructed, deployed and reconfigured by stakeholders in the context of social media marketing campaigns. His approach has been further explored to identify and classify sentiment in social media commentary. 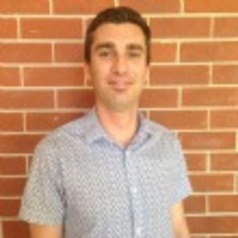 Michael has worked as a Communications Officer and Social Media Consultant for over 10 years, as well as, tutoring and guest lecturing in social media communications and strategy at the University of Wollongong. His projects have included exploring public opinion in regards to biotechnology for the New Zealand government and working with NSW Tourism operators in increasing online brand reputation. Currently Michael is writing peer reviewed journal articles exploring the integrated nature of social media communication in public relations, marketing, and information systems. Michael is currently developing a semantic approach to sentiment analysis that will allow the classification of 'grey' texts expressed by users in social media conversations, comments and campaigns.